S3 based on real-life incidents happened in AP? 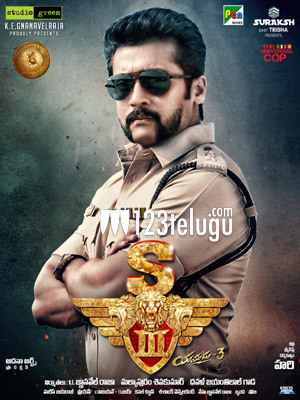 Star hero Suriya’s next movie, S3, is all set for its release on December 23rd. The film, a third outing in the super hit Singam franchise, is an out and out mass action entertainer. According to the latest buzz in Tamil media circles, S3 is based on real-life incidents that took place during late Chief Minister of erstwhile Andhra Pradesh NT Ramarao’s regime, where Tamil Nadu Police joined Andhra forces in a huge crisis situation. Incidentally, S3 was shot extensively in Vizag and Nellore. Hari directed this high budget entertainer and KE Gnanavel Raja has produced it. Anushka and Shruti Haasan are the film’s leading ladies.